We’ve designed these official Spice Girls charity tees, hoodies and sweatshirts for our #IWANNABEASPICEGIRL campaign! 100% of the proceeds support amazing charities trying to tackle women’s issues via Comic Relief’s Gender Justice initiative. Following the huge announcement this week that Spice Girls are reuniting, and in the spirit of everything the band represent, Emma, Melanie C, Mel B and Geri have launched this exclusive campaign to raise funds and awareness for Power Up, a programme within Comic Relief’s Gender Justice pillar which champions equality for women and girls. Research confirms that, although there has been progress, women and girls are still significantly more at risk of violence, earn less, have fewer options about the jobs they do, and are less likely to be making the big decisions about how our country works. Comic Relief has been funding programmes tackling gender-based sexual and domestic violence, and supporting women and girl's empowerment since we began. This money will help us to continue supporting organisations doing such fantastic work to help drive change. 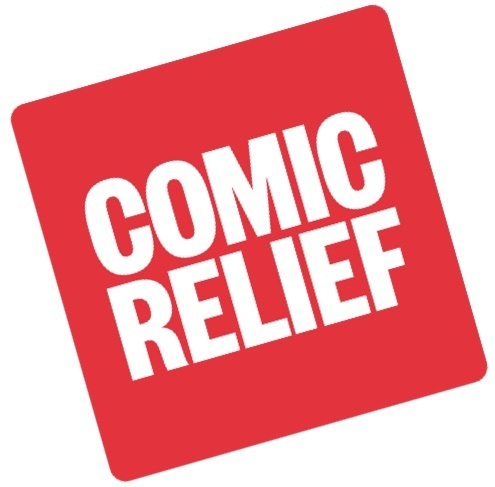 Comic Relief funds and invests in amazing organisations across the UK and around the world. We fund a huge variety of organisations, each one working to tackle the key issues of our time. We aim to root our support with those closest to the people we intend to help. We recognise funding alone won't be enough to bring about the change we want to see, so we're always learning and adopting new tools to achieve the greatest impact around our funding. For more information about Comic Relief, including our Gender Justice work, please visit www.comicrelief.com.